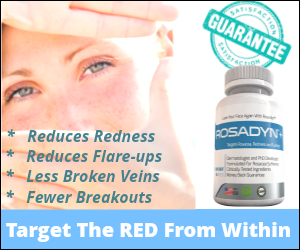 Most rosacea sufferers battle triggers on a daily basis. Avoidance is usually the best approach. If you don’t avoid triggers or simply try to battle through them it usually leads to facial flares — i.e. increased facial redness, facial flushing, acne rosacea and burning skin sensations. There are many rosacea trigger lists available online and at your physician’s office, but often times they only list the obvious triggers: sun, heat, spicy food, exercise, food allergies, etc. The problem with most lists is that they leave out dozens of common triggers that general physicians are not usually aware of and online lists don’t even detail. It’s important that rosacea sufferers be aware of important triggers that are complex in nature or simply overlooked as a part of the rosacea disease process. We’ve put together a list of five very common triggers that you rarely find on any list and incorporate recommendations on avoidance or treatment. We hope you find this helpful. (1) Salon and Over-the-Counter Hair Dyes: Many female rosacea sufferers dye their hair with synthetic dyes even though they can cause severe skin reactions on the forehead, temple area and nose. To complicate matters, synthetic hair dyes can take a few days to a week to trigger a rosacea flare because the scalp skin slowly absorbs these dyes and enters the blood stream. While there are many synthetic chemicals in hair dyes, the most problematic chemical for rosacea sufferers is p-phenylenediamine. P-phenylenediamine is a strong irritant and is easily absorbed into the skin and scalp blood stream. Recommendation: Only use all-organic hair dyes with no synthetic chemicals and go to a salon that specializes in the application of these types of hair dyes so that most of the dye stays clear of direct contact with the skin. It may cost a little bit more but your rosacea will thank you. (2) Hair Bleach: It’s summer time again. Many females prefer a lighter hair color and the most common way to do this is to bleach your hair. It works… but, it’s one of the strongest irritants to your scalp skin and superficial blood vessels. Most rosacea sufferers should stay away from hair bleach because it is a very strong rosacea trigger. Even if you just lighten the tips of your hair, the hydrogen peroxide in the hair bleach slowly travels to the hair follicle and directly into the skin. Recommendation: Once again, we recommend visiting an all-organic salon if you want to lighten your hair up to four shades. It can be done and maintained with professional help. One of the most effective ways to lighten your hair is centered around the use of concentrated chamomile tea… but, please discuss this with a salon expert first. (3) Facial Hair Lightening Agents: It’s a very common practice to lighten or bleach facial hair, especially above the lip area. However, bleach and many other “hair lighteners” are very caustic to the skin and often cause acne rosacea breakouts in the mouth area and chin (perioral) or a trigger a breakout of perioral dermatitis. Female rosacea sufferers should all avoid bleaching facial hair because it is such a strong trigger. Recommendation: Instead of constantly lightening hair, why not permanently get rid of the unwanted facial hair? Female rosacea sufferers have two options. First, laser hair removal has been shown to be quite effective in permanently removing facial hair, especially above the lip area and around the chin. Second, females can now treat the hair directly with a prescription cream called Vaniqua. This cream is generally well-tolerated by sensitive skin types and is a viable option for most female rosacea sufferers. (4) Lipstick and Lip Moisturizers: This is the most under-rated female rosacea trigger on the list. Most females mistakenly believe that lipstick and lip moisturizers have no effect on their rosacea; however, the use of these products can often lead to chronic outbreaks of acne rosacea, facial redness and burning sensations around the mouth and chin area. The lips are a highly vascularized tissue — combine that with the fact that most lipsticks and lip moisturizers contain irritating chemical sunscreens and numerous chemical irritants — and you have the recipe for a very powerful, unrecognized rosacea trigger. Recommendation: Once again, the synthetic chemicals in these products are the main culprits. One visit to your Dermatologist or a Naturopathic Physician can help educate you on the proper choice of a lipstick and lip moisturizer. Most physicians will recommend all-organic products without chemical sunscreens and only a handful of hypoallergenic ingredients. (5) Oil-Based Makeup Removers: Many new “light-oil-based” liquid makeup removers and micellular water (with alcohol and oil) are now being sold in skin care aisles of grocery stores and pharmacies. All of these products are reportedly developed for “sensitive skin types”. This could not be farther from the truth. 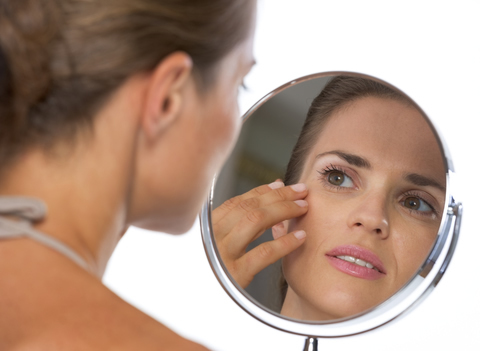 These new generation makeup removers often trigger acne rosacea breakouts and facial redness. These flares can last for days. Be very careful with these types of makeup removers. Recommendation: The best approach to safe removal of makeup is to simply use your gentle facial cleanser. In some cases you may need to cleanse your face a little longer or use pure 100% cotton balls or squares (pre-soaked in lukewarm water) to gently remove thick, resistant make up. Remember that with rosacea, less is always better.